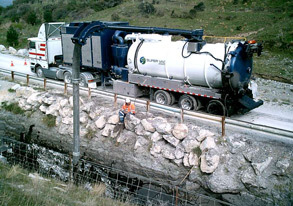 Hydro-Excavation is digging safely with high pressure water and vacuum. 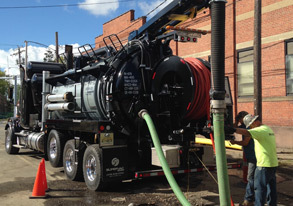 Discover how Supervac hydro-excavators are the best options on the market! 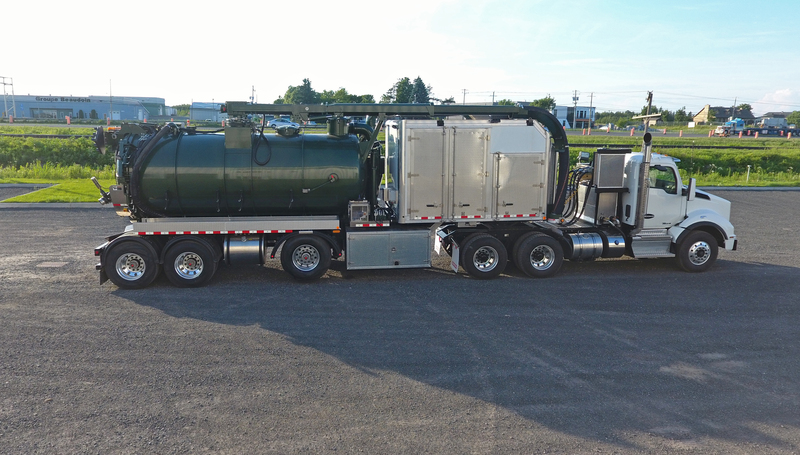 The Atlas is our standard hydrovac trailer design to meet your toughest requirements. 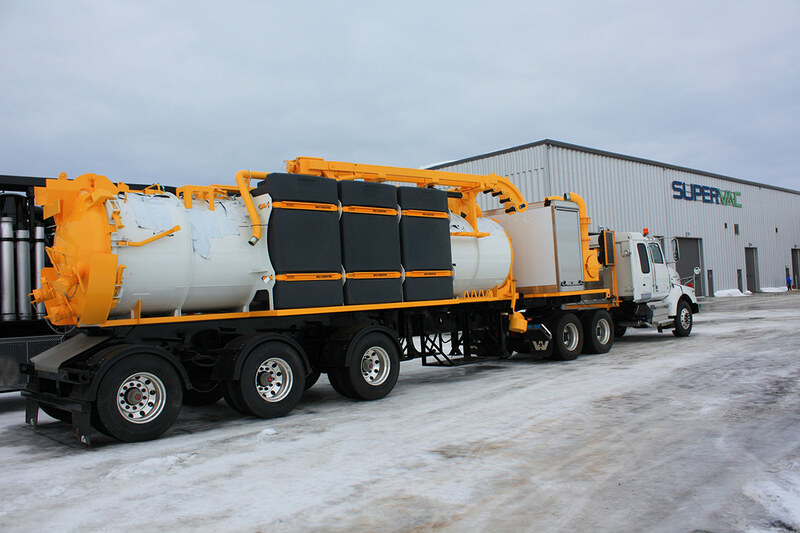 The BOREAS is a hydro vac trailer specifically designed for the cold climate. 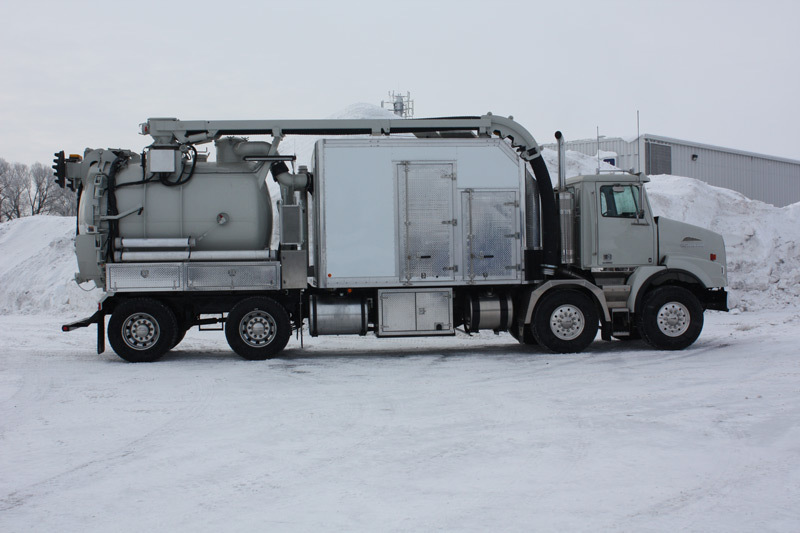 The heated front enclosure and isolated water pump cabinet protect the equipment from freezing temperatures. 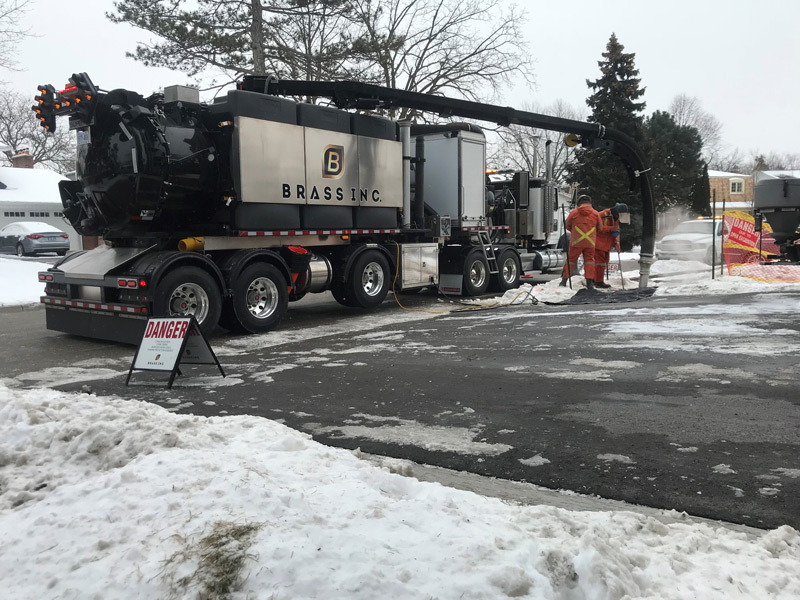 The ZEUS is our biggest hydro-excavator and was designed specifically for cold weather or low noise requirement with its enclose mounted behind the cab. 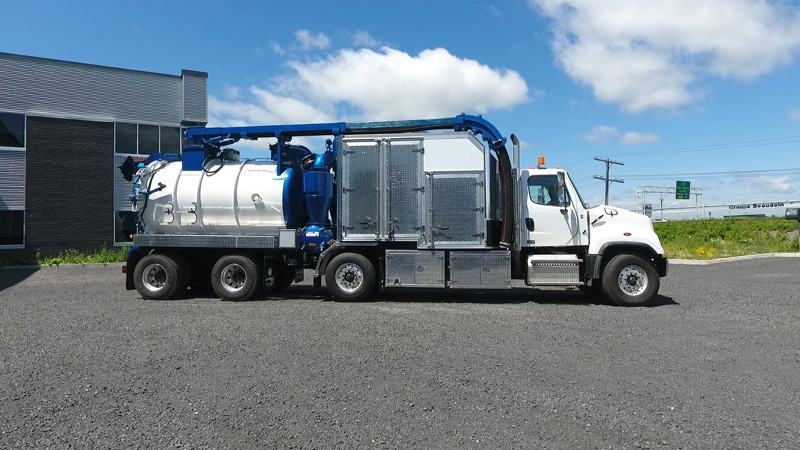 The Hercules is our smallest model while being one of our most versatile with its vacuum equipment, air excavation and even hydro-excavation equipment with heated water. 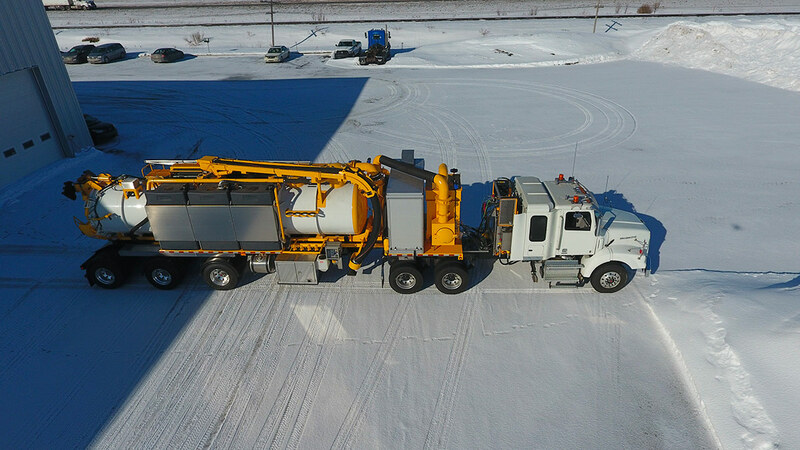 Big payload, large debris and water tank on a short 38’ long truck: with the new Hercules Extra Load, there is no compromise on equipment. 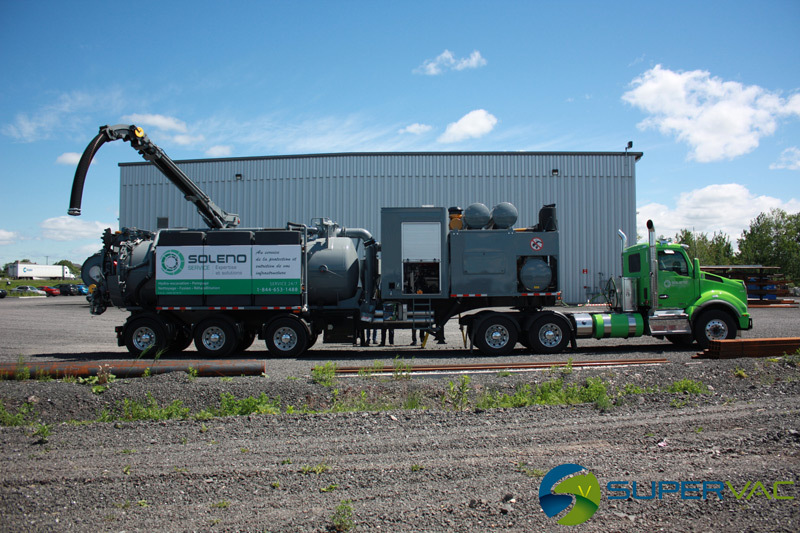 With Supervac cutting edge technologies you’ll be able to exceed the utmost aggressive goals. Fully insulated and heated acoustical enclosure perfectly adapted to cold climate or low noise requirements. 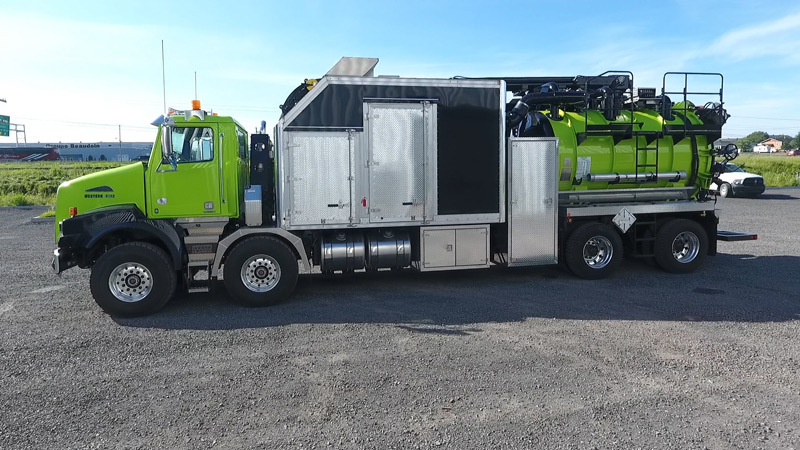 With its ingenious flexible boom folding at mid-length, you will be able to work deeper more often without having to take out the extensions. 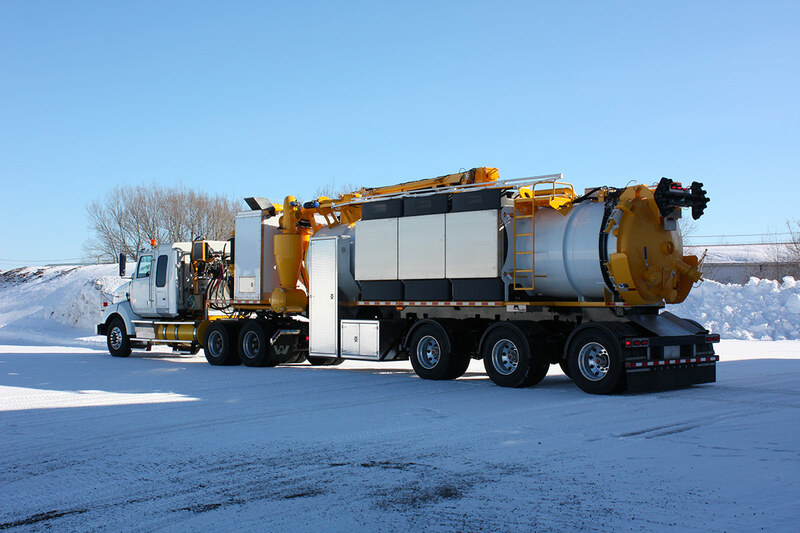 All of Supervac units are custom made to meet the specific needs of each customer. 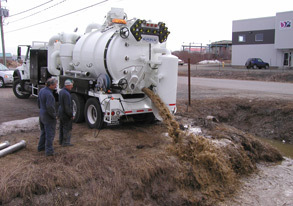 Supervac hydro-excavators can be used in a variety of industries.